Midztoyz: Let's make TOYz! : 1013 subscribers. YAY! My youtube channel just hit 1013 subcribers! Thank you to all of you. I appreciate it very much. I'm sorry that I haven't uploaded a new video in a while, but hopefully that will change soon. I got a few weeks before the next semester starts. That should be enough to make a couple of long overdue videos. 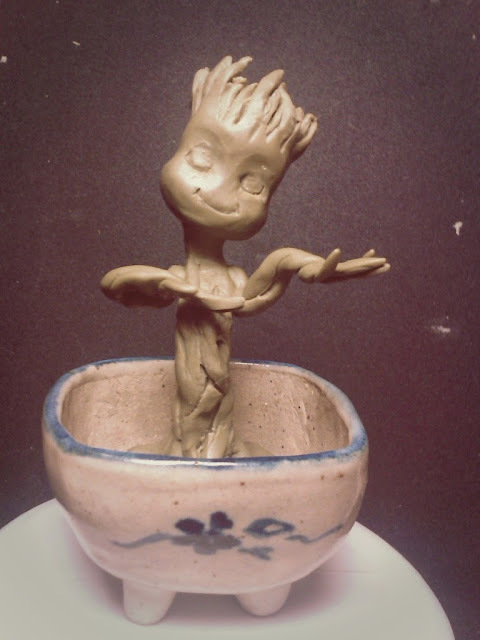 In the mean time, here's a speed sculpt of a dancing baby bonsai Groot. Enjoy!